Propylene Glycol, Sorbitol, Glycerin, Sodium Laureth Sulfate, Sodium Stearate, Sodium Myristate, Sodium Cocoyl Isethionate, Water, Red 33, Red 40, Propylene Glycol, Diazolidinyl Urea, Methylparaben, . 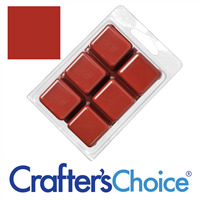 "Stanined Glass Santa Red color Blocks"
COMMENTS: This is our favorite red for melt and pour products. COMMENTS: Used this to color my M and P for embeds. It is a nice red or pink depending on which base use. "Stained glass Santa red soap color block "
COMMENTS: I received this item as a free sample. Most of the products I make are Paraben free and I only used this one time for a special request. It gave the soap a nice rose color but I am not a fan of the ingredients - so I would not purchase this as something I would frequently use. COMMENTS: I got this as a sample. This would be a good red for Christmas or valentines day. You could use it in alot of different ways. 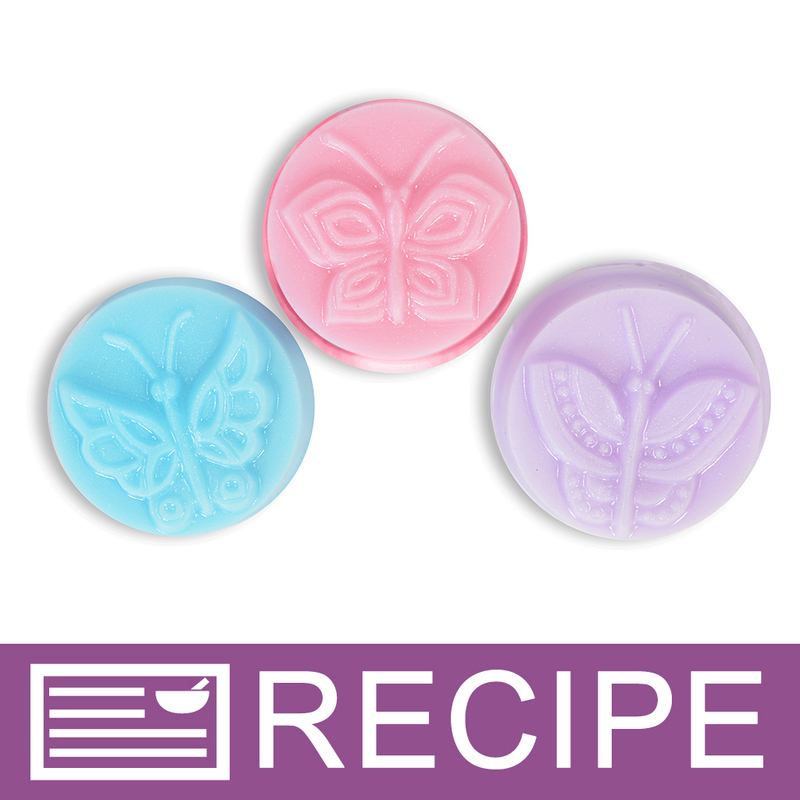 "Easy to use but doesn't color as they say "
COMMENTS: Works well in my melt and pour soap and is really easy to use. It melts easily. The only if you want bold colors these aren't for you. COMMENTS: Yes, bleeds in time. But still doesn't look bad. I use it a lot for decorative curls too. COMMENTS: I like how this color turns out in clear melt and pour. COMMENTS: I like that this soap color blocks only take a little to get the color that is wanted. COMMENTS: If you use enough, it will provide a nice true red. I only had one section cube and was trying to stretch it. Going to order a full size. COMMENTS: I ordered this as a free sample with a coupon. I love it! I had been hesitant to try the color blocks but this took that away! COMMENTS: True to color, use as little or as much as you want. COMMENTS: Love simplicity of stained glass colors . COMMENTS: A bit too much on the pink side. COMMENTS: Beautiful clear color in clear melt and pour. I used the color bleeding as an intentional effect and it worked great. COMMENTS: I used this to color my melt and pour soap and it is so easy to use. The color is perfect! I will keep ordering. Great product. COMMENTS: I made glycerin m&p layered Christmas soap. Excellent color with no problems at all. "Finally found my TRUE red! " COMMENTS: Was looking for a Christmas red and found it! I had never tried the Stained Glass colors and decided to purchase the sample pack...I will be getting big blocks next time. Love, love these! "Love this color!wanted a real "
COMMENTS: Wanted a real red for Christmas soaps, and this is it. Looks bright and happy! COMMENTS: Love color. Us it very often in many recipes. Will buy more. COMMENTS: Beautiful red for melt and pour. COMMENTS: Just needed a little bit and this looks absolutely stunning in clear MP. COMMENTS: Great Christmas red for melt and pour! 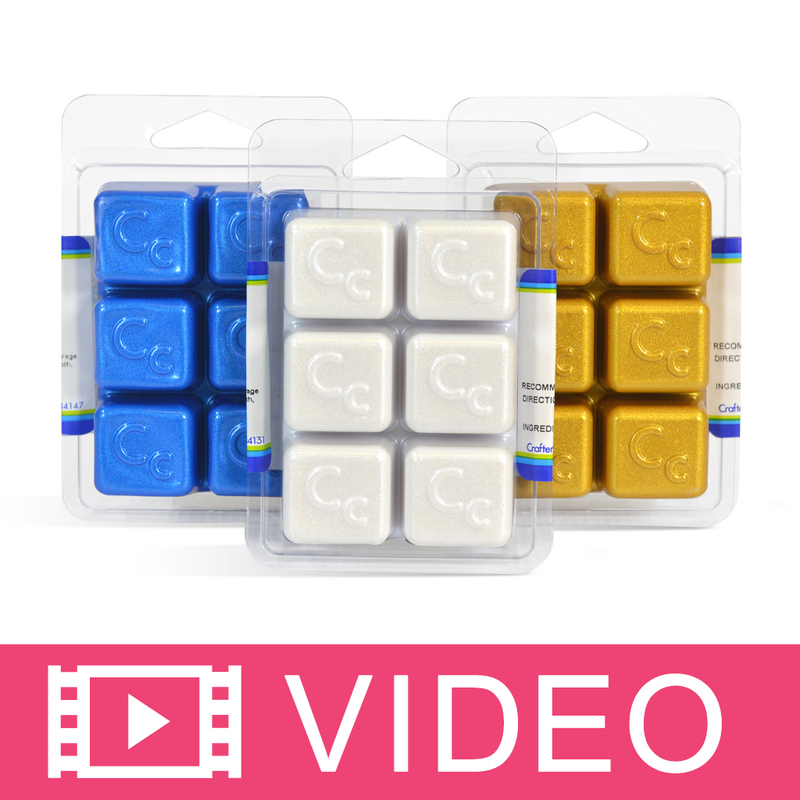 COMMENTS: I use this in a variety of melt and Pour soaps. 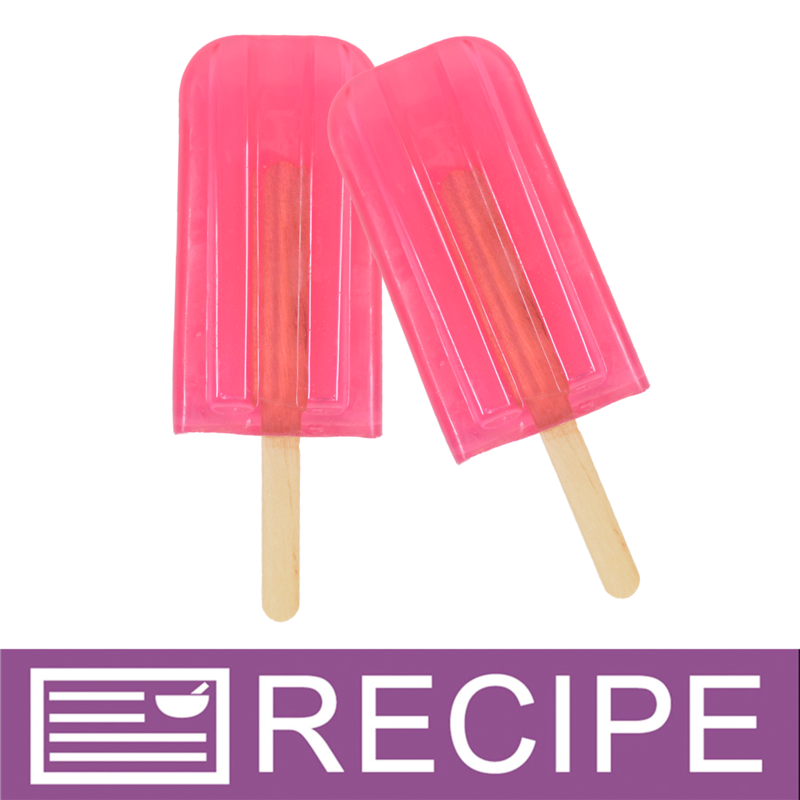 Melts and blends well- and you can get a light pink to a deep red depending on how much you use. Liked it so much I got the big block. COMMENTS: Good colorant for melt and pour. Works nice in clear and opaque. COMMENTS: Used in pomegranate MP soap, beautiful color result. "Good color but leaves specks in soap." COMMENTS: Really like the color but find that it doesn't seem to melt/dissolve completely even after heating in the microwave multiple times. Leaves tiny specks in the soap. COMMENTS: Best red for clear soap ever! "TRUE RED!! 1st one I found that is true red!!!!!!" COMMENTS: I purchased this color to make a pink, and it works great! I just mix a little with my white base and turns out great. You can add more color to get a red color, I'm sure. COMMENTS: Used a tiny bit in my sand dollar shells for a peach look and it looks great. Wanted something a little different and this was what I needed for the look. "Stained Glass Santa Red Soap Color Bar"
COMMENTS: I used this to color extra-clear MP soap base for my Sliced Tomato luffa soaps. It looked amazing, especially paired with the Matte Green color bar for the bottom of the soap. Will definitely order more when needed as it was not only easy to use, but for its finishing touch to the end product. COMMENTS: I like this red, but it mostly shows up in small amounts as pink, which is ok, but i feel like I have to use a lot more than the suggested amounts to get the good red in the pictures. COMMENTS: I received this one as part of a sample pack and after my first use, I decided to go back and order a full bar of this one. I thought it was an exaggeration that one cube was enough for 5 pounds of soap but it isn't. 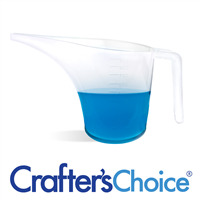 I used 0.1 ounces of this (1/5 of a cube) for one pound of white goat's milk M&P and was very impressed with the color. Mixed with the white, it came out as a nice pink. I plan on trying this with a clear glycerin later on to see how "bright" of a red is produced with a colorless soap. 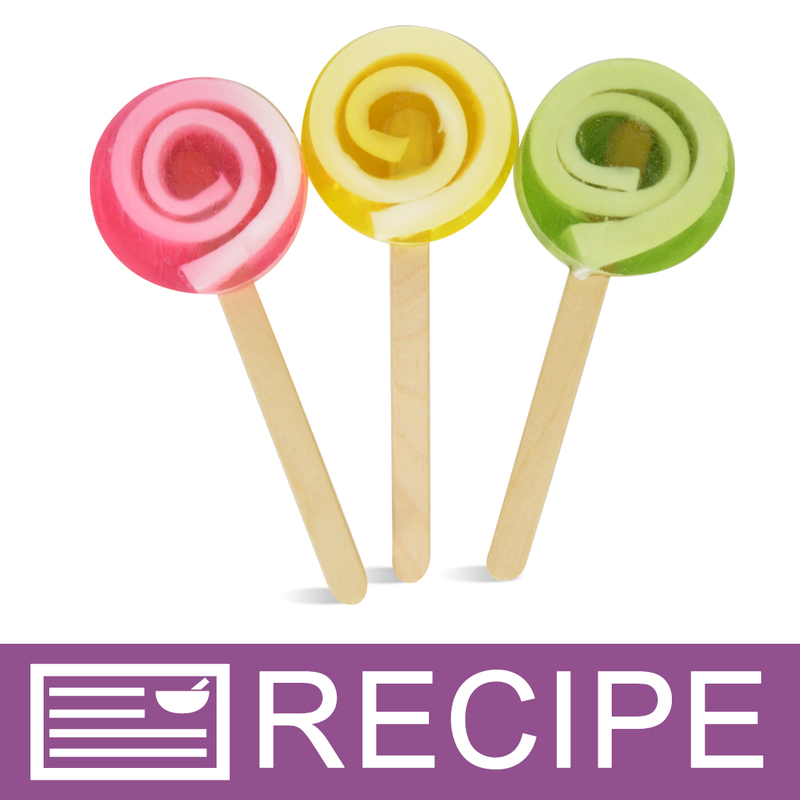 COMMENTS: I used in my mp soap works out really good and is very easy to use. Nice color. COMMENTS: Beautiful color. A little goes a long way with this color, and a few drops gets it to the perfect medium shade I like. Defintely an easy to work with color, that mixes great. WSP Response: Our Santa Red color has not changed. These colors do migrate, which is stated in the description, but normally do not fade. If you are looking for non-bleeding colors, it is best to use the pigment and oxides. • The color is not a Santa red. COMMENTS: I was a little hesitant to try these, because the ingredient listing looked a little too... synthetic... for my tastes. I got one as a sample, and I must say I am now hooked. No more pin-point dots of un-mixed color! COMMENTS: I like the color, I had to add more than I expected to the glycerin soap to make it a darker red shade, but I like it much more than dealing with mica pigments! COMMENTS: I love the color bars. I always have problems with the liquid getting pitted colors. COMMENTS: Red is so hard to achieve. I used it in a clear M&P and got a light shade of red/dark shade of pink. This is probably my fault because I didn't use enough. I wish there was a ratio of how much color block to use to how much soap base. I have tried other liquid reds and they came out too purple for my taste. This shade of red is what I would call fire engine red. COMMENTS: Fantastic colorant! Really makes my soap red and not a faded pink color. Does not fade with time either, stays brilliant throughout the months. "It Only Takes a Little..."
COMMENTS: I have found it only takes a little Stained Glass Santa Red Soap Color Bar to make a great shade! I will be getting more! COMMENTS: Very pretty red color in clear M&P base. Don't have to use much at all to achieve. Nice pink in White M&P base. Versatile. COMMENTS: This is the perfect red! If you are looking for a bright really in your face red, this is it! Santa red is the perfect description! The strawberry red is too pink, but this one is perfect for that bright RED RED color! COMMENTS: I actually used this to make a very dark pink, was easy to use to get any color from light pink through to red. Excellent product. COMMENTS: It is hard to get that "true red" color but this product delivers. This will be great at Valentines Day and at Christmas. I just have to remind myself not to forget that this will bleed if layering. I'm happy to have a true red color. COMMENTS: Love this red color it's vibrant and cheerful, not that dull orangey red. I made a few loaves and embeds and despite warnings there was no bleeding. Good product like most crafters choice bars. COMMENTS: This is a great red. Very easy to use. 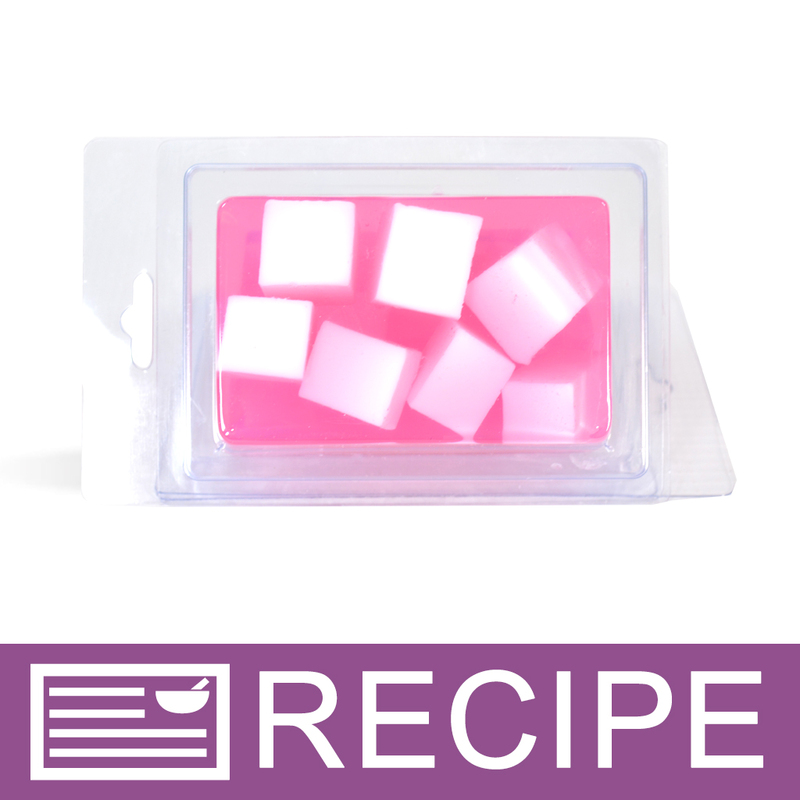 COMMENTS: I made valentine hearts using candy molds with white and clear melt & pour. The hearts were a perfect red. I then glued the soap heart to valentine cards for advertising. COMMENTS: Received this as a freebie and I will definitely be ordering more! COMMENTS: Used this color for white and clear M&P, and was very happy with the results. Made a stained glass soap fragranced with peppermint, and received a lot of compliments ! COMMENTS: No problems with melting, and a little goes a long way. Everything you want out of a red hue, no problems here. COMMENTS: A little goes a long way. Gives a very true color depth and a very good value as a result. COMMENTS: I loved this soap colorant because it gave me just the right shade of red that I was looking for. I used this with a glycerin base and it turned out beautifully. Using 2 lbs of base I only used a sliver of the colorant and it was perfect. COMMENTS: This is the only 'red' soap colorant I've found that really comes out red, not fuschia or orange. COMMENTS: This red is a bit on the "cool" side. I used just a tad to make a pink with a white base, and the resulting color was beautiful. One of these things goes a long way! "Can this color block be used in candles?" Staff Answer We do not carry any color that can be used in candles. You need a dye specifically made to blend with candle wax. "For this color bar. I wanted to layer my melt and pour with my cold process (since CP can't be transparent) will this bleed into my CP soap?" 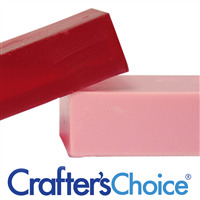 Staff Answer This color is known to bleed between layers so it most likely will bleed into your CP soap.